Today’s recipe is definitely not Paleo, but hey—everyone deserves a splurge every once in awhile. These cookies are actually not for me, but are being packaged up & sent away to someone very special to me... my little brother! 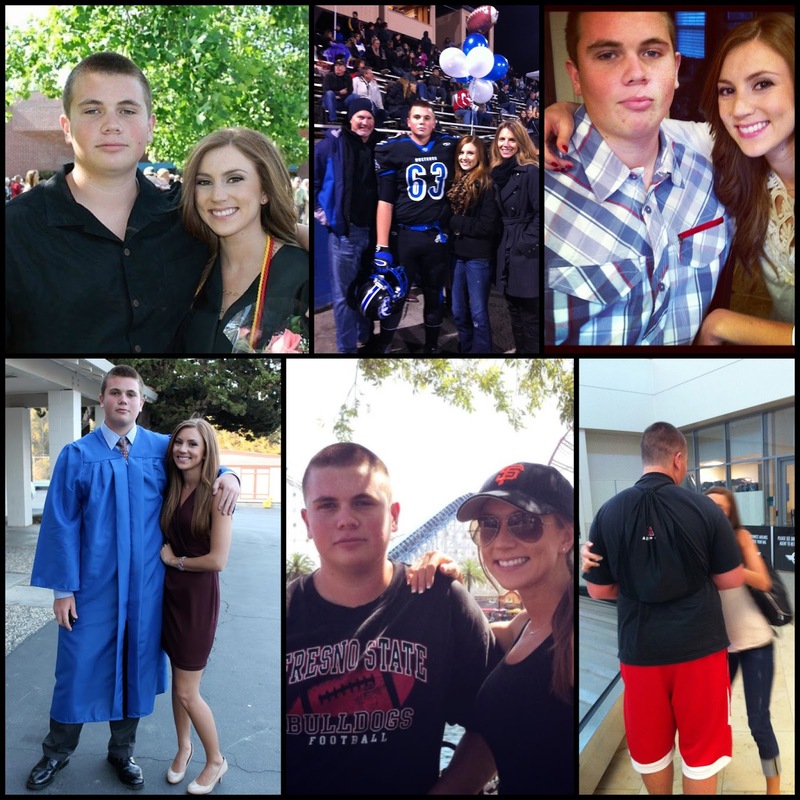 My brother, Alex, just moved about 5 hours away for college. It’s a bittersweet feeling... I’m sad that we won’t get to spend as much time together, but I am also SO proud of the smart decisions he has made & where his life is headed. So, I’m looking at the bright side & embracing the opportunity to embarrass him from a distance by sending him care packages! 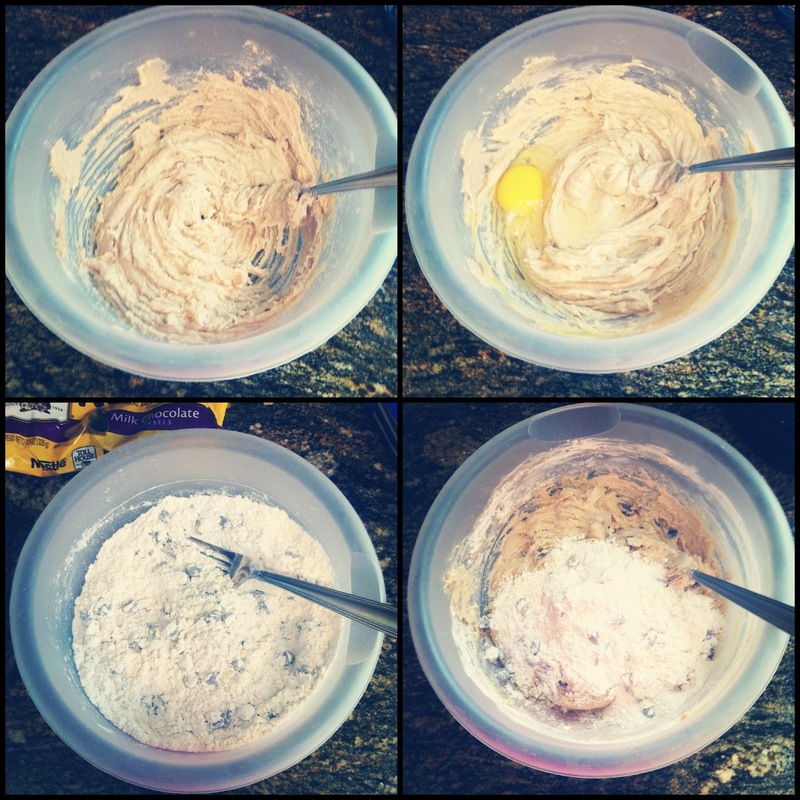 First up—his favorite cookies. I sent him a random subtle text last night asking, “What’s your favorite cookie?” & he immediately wrote back with “those Oreo ones you make”. 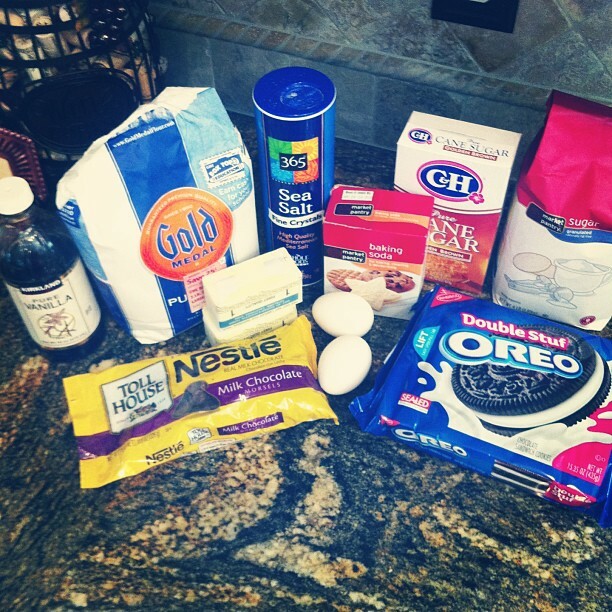 So, here they are… my Chocolate Chip Oreo Cookies. 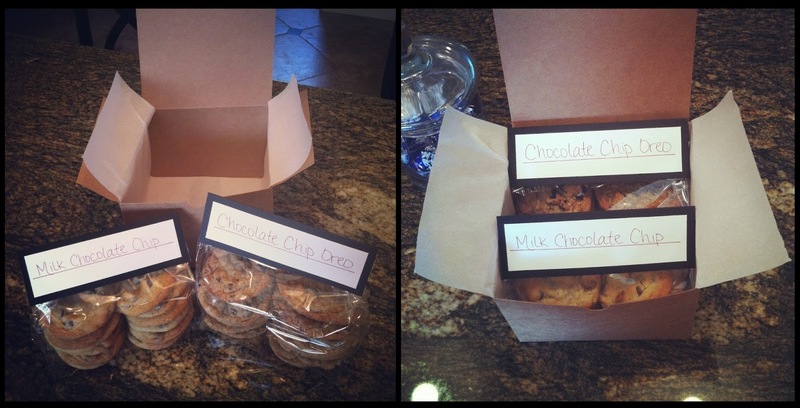 These have also been a hit at family parties (among kids & adults alike!) and are a fun little switch-up from the classic chocolate chip cookie. In a large bowl, mix the sugar, brown sugar, butter & vanilla until fluffy. 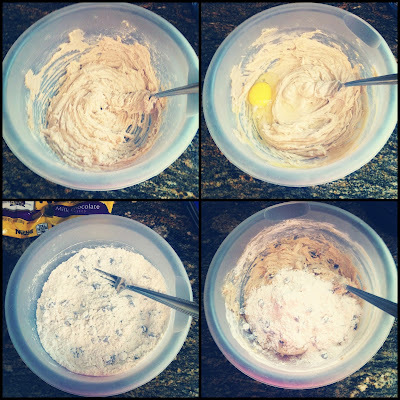 In a separate bowl, combine the dry ingredients (flour, baking soda, salt) with the chocolate chips. Add the dry mixture to the wet mixture in thirds, each time stirring until just combined. 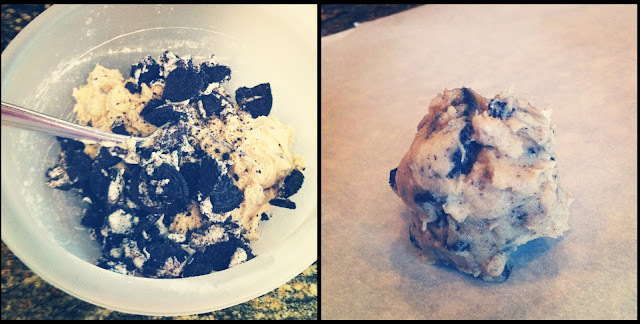 Refrigerate the dough for at least 20 minutes; it's easier to manage when it's cold. Bake for 10 minutes, or until they begin to turn light golden brown. Here's how I packaged it all up! My mom helped me wrap them up & make a little topper for each. 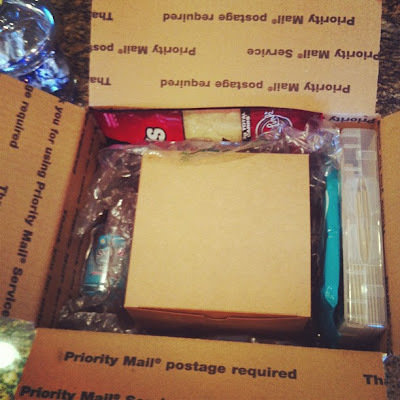 I then stuck in a few other goodies (jerky, gum, hand sanitizer) and a box of cards my mom made for Alex to write home. Let me know if you have someone that you send care packages to, & if you have any good ideas of what to put in Alex's next box! Sorry, but these are NOT Paleo. sugar, real flour, dairy, Oreo cookies??? Please. These are all junk. Please read the post! It is clearly stated that this recipe is not Paleo (one of only 2 I think out of all of my blog recipes!). 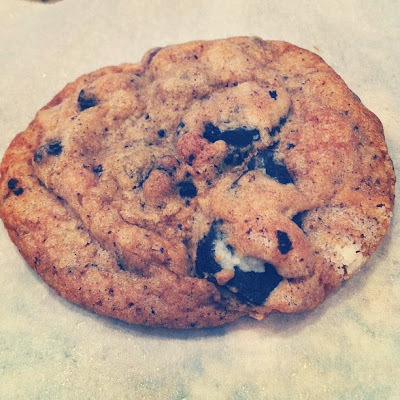 Please check out my other cookie recipes, which are all Paleo-friendly.